A famed horror author is on the verge of his magnum opus—a labyrinthine cryptogram that details the end of days. When Gregory Stillingsworth buys an antique doll in India, the bestselling horror novelist doesn’t haggle over the steep price. He simply has to have the beautiful, enchanting doll. Only months later, when it is far too late, will he realize that he is merely the latest in a long line of victims to become possessed by Christie, a pernicious tool of Satan. What follows is a battle for Gregory’s soul, as well as his sanity, and the casualties are legion. Chief among them is Jamie Stillingsworth, Gregory’s devoted wife, who finds not only her love for her husband but her courage tested as well. Can she deliver his baby and cherish it as though it were their own, not the offspring of something monstrous? As the battle lines between the angels of light and darkness are drawn, Gregory and Jamie become trapped in an ancient war that has no beginning and no end, a conflict that turns time inside out and reason on its head. What is real? Who can be trusted? When is the end truly the end? 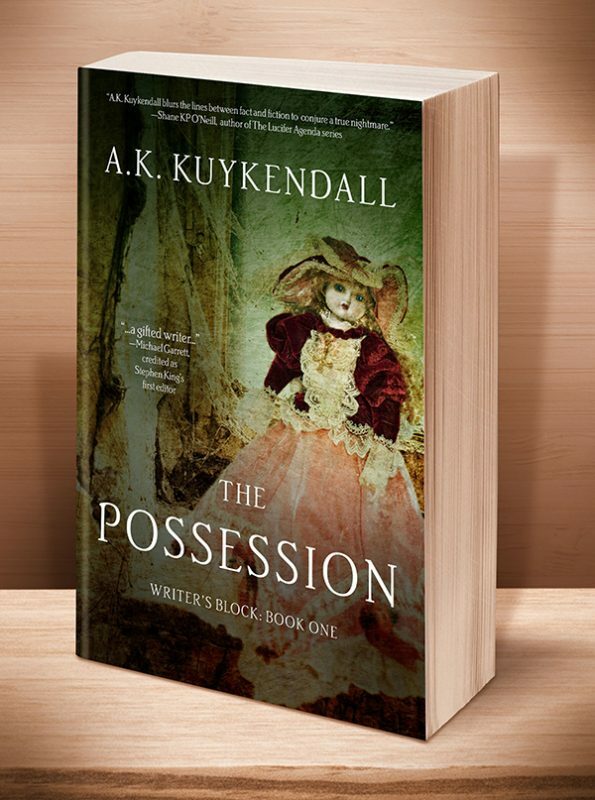 The Possession is the first book in the “Writer’s Block” trilogy, exploring the age-old War of Angels. Watch for the complete unabridged audiobook to release in late 2019. This entry was posted	on Wednesday, December 5th, 2018 at 12:13 pm	and is filed under . You can follow any responses to this entry through the RSS 2.0 feed. Both comments and pings are currently closed.